Designer Cosmetic bag with gusset, ideal for your make up essentials when travelling or an attractive addition to your bathroom shelf. Spacious enough to keep your daily essentials all in one handy bag and the gusset allows the bag to stand upright. Plastic coated 'Daisy design' fabric, sturdy yet practical with a wipe clean PVC lined interior and zip fastener. Finished off with a silver heart charm and pink bow detail. 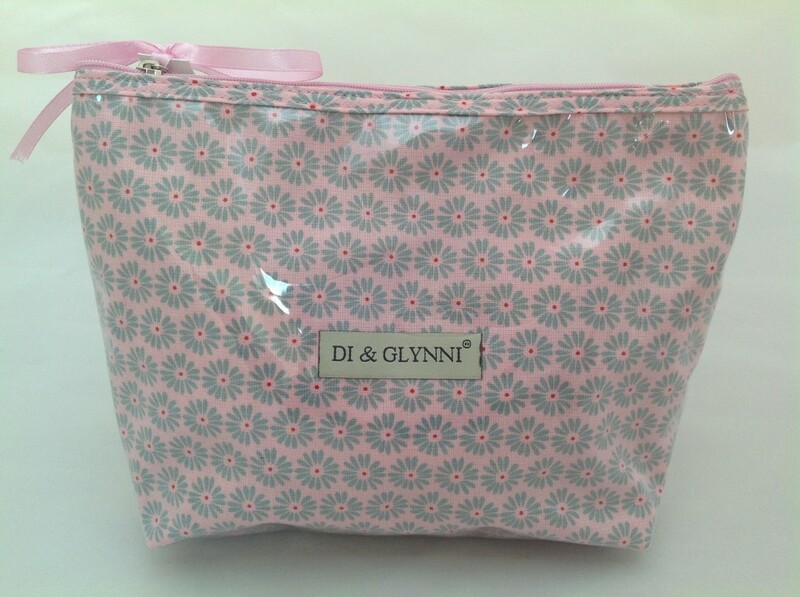 Ideal gift for girlie girls and ladies who love to travel. Size: 24cm width x 17cm height x 5.5cm gusset.